5.1???? Notice of Motion - Macksville Saleyards Committee ? 11.3?? Clarification of the role of the Local Development (Traffic) Committee ????
? It may be appropriate that no action is taken where the potential for conflict is minimal. ?However, council officials should consider providing an explanation of why they consider a conflict does not exist. The Macksville Saleyards Committee has insufficient primary producer representation. Mr George Hicks, through his long association as a primary producer, beginning with his involvement with the initial construction of the Saleyards as well as his knowledge of Council requirements, would bring invaluable knowledge and experience to the Committee. That Mr George Hicks OAM be appointed to the Macksville Saleyards Committee. Final report assessed.? Maintenance recommendation included in works program.? There are a number of existing stormwater inlet pits within the study area which require maintenance.? These pits are blocked with vegetation and debris both within the pit and in the grate and lintel, grates are broken, and lintels are broken, reducing the inlet capacity of each pit.? Maintenance and repair of these pits will at least ensure each pit is functioning to its capacity. Phase 2 analysis of pipeline from Bismark to Nambucca Streets authorised.? Not expected to be completed until 31 July 2010. GHD advise that ground survey completed.? Capacity analysis starts end of July 2010. Options report received detail design and costing by 26 November 2010. First letter sent 4 December 2007. Followup letter sent. 26 June 2009. No reply at 17 July 2009. No reply expected until Scotts Head Master Plan completed. Followup letter sent 24 May 2010. Scotts Head Trust has approved Council spending $40,000. Return letter sent advising that $40,000 matching contribution is required. Project will not proceed unless budget is $80,000.? Cancel project and reallocate Section 94 funds if Scotts Head Reserve Trust do not contribute $40,000. At Council?s meeting on 7 October 2010 it was resolved to receive advice on what Council land and what Crown land it concerns and also that the money be allocated to other projects in Scotts Head and be reported back to Council.? Report scheduled for November 2010.? Deferred to December 2010. Indefinitely delayed due to workload, illness and completion of Civica (Authority) implementation. Provision made in Budget for 2010/11. IT Support Officer now proceeding with implementation.? Work underway. ?Planet Footprint? engaged for 1 year at a cost of $3,450 to report on energy consumption by site and also to negotiate lower tariff for halls and museums with Country Energy.? Their first report will be to the October 2010 meeting. Information not received at business paper deadline. 1st quarterly report received - to be reported to Jan 2011 GPC. Report was ready for Nov GPC but didn?t comply with Council?s resolution for circulation to the first meeting of the month. Council consider becoming a member of the NSW Cemetery and Crematoria Association in 12 months time. That Council defer a decision on demolition of the old amenities at Coronation Park to allow the Junior and Senior Rugby League Clubs to put their proposed business plan to Council explaining the uses, and how the work and ongoing maintenance is to be funded. Awaiting response from Clubs by the Committee of Management. Committee submitted proposal for retention of amenities. Report deferred to November to allow for further consultation with the clubs. Letter sent to owners in Lower Nambucca. ?Briefing and discussion with property owners to be arranged. No response as at 26/10/2010. Response received from Minister for Local Government 5 November 2010 advising that the matter has been referred to the Minister for Planning for consideration. See Trim document 27096/2010. Council write to Minister for Roads, RTA and Local Traffic Committee re review of speed limit on Pacific Highway b/w Nambucca Heads and Burkes Lane and a median barrier.? Also Traffic Committee be asked to declare section a black spot. Listed for Traffic Committee 5 October 2010. Listed for December 2010 meeting. In regard to item 1 ? Riverside Drive ? GHD be requested to expedite completion of the project and provide a time line for same. Due weekend 1 October and report to Council 21 October 2010. That a further report on the Paveline operations be prepared for the half year July 2010 to December 2010 for comparison with the same period in the previous year. Council pursue the potential of recovering the cost (of the enlarged sludge lagoon at the Nambucca Heads STP) from the Public Works Department. Contracts have been reviewed and a letter containing a claim has been sent to the PWD on 29 September 2010.? Response received from PWD on 11 October denying liability.? Meeting to be held on 28 October 2010.? Awaiting finalisation of a design for bank of sludge lagoon. Council receive a report outlining the advantages and disadvantages of using contracted traffic control compared to Council staff. To be reported as part of the Organisation Review in December 2010. Mid North Weight of Loads Group ? further information to be provided on the Group?s activities. Waiting for additional data.? Deferred to Dec 2010. Council receive a report on the River Street Foreshore Plan, including staging, and then visit the site with Joan?s Army, Mr Graham Hughes and other interested people.? Alternative options to removing the trees to be considered. To be referred to December GPC. Council be provided with advice on details of transfer of funds from ANZ to UBS Wealth Management Australia Ltd.
Report to meeting on 18 November 2010.? Advice received on terminating the Macquarie Bank managed fund.? CPG has now confirmed Council?s assumption that the UBS CMT is a managed fund and notwithstanding it is a settlement account for transacting purposes only, it would be in breach of the Minister?s orders.? CPG have had meetings with UBS to discuss possible alternatives.? Initially, CPG thought the most likely outcome would be that funds would be swept out daily to either Council?s external bank account or an at call cash account.? CPG to advise all their council clients of action to remedy the problem. New policies be reported back to Council for determination. Council make urgent representations to the Minister for Education re urgent attention to drainage and safety issues at the Nambucca Heads High School and Frank Partridge VC Primary School grounds. Letter sent 27 October 2010. That a Saleyard seminar be held for the community after Council has received the report from Council?s Property Officer and prior to making any final decision on the future of the Saleyards. Report scheduled for December 2010. Report scheduled for January 2011. Property Officer to write to CMA requesting funds for improving Saleyards effluent issue. Council receive a report regarding pensioner rebates. Council approach LPMA with a proposed change to Scotts Head Master Plan ? sketch plan showing 23 sites.? LPMA to discuss at a GPC.? Draft Plan of Management to re-categorise Adin Street Reserve as General Community Use to be placed on exhibition. Report on possible costs and revenue of MoU. Letter sent to LPMA on 22 November.? Will await decision on Master Plan before advertising re-categorisation so that public are properly informed before they have the opportunity to comment. alternative master plan.? GM has advised that Council specifically resolved that the discussion be at a GPC meeting. Mayors and GM?s of the 3 Clarence Regional Library Councils have discussions regarding level of service ASAP. Letter sent 24 November 2010. Further letter sent 7 December with a suggested meeting date in late January 2011. Letter written to LPMA 26 November 2010. Manager Water and Sewerage to draft letter. That a report be provided to Councillors re cost for cleaning the River Street riverbank previously cleaned by Joan?s Army. That a report be provided to Councillors, as part of the quarterly budget review, regarding all costs to Council of all legal issues. Council receive a report on the structure & membership of the Unkya reserve CoM including usage and users. Council write to RTA re safety investigation & speed zone review of Pacific H/w between Nambucca Heads and Urunga. Letter including submission from Ms Tahnee Milgate sent to RTA on 10 December 2012. Council endeavour to increase reserve for the Macksville Aquatic Centre to $119,000 in 2011-12. To be included in budget for 2011/2012. Council request from CoM involved with markets info regarding their insurance cover and a copy of any policies. Letters sent on 10 December 2012. Signage at Ferry Street Macksville ? Council review after the Christmas break. Council look at means of restricting car access via the bush to the rear of the skate park. The real value of the pensioner rebate is diminishing over time which imposes additional costs on pensioners. There is a policy issue concerning the extent to which local government should be involved in income or welfare distribution rather than a user pay or fee for service model.? Is it more efficient for a single level of government, ie the Commonwealth Government, to determine taxation and income redistribution than three levels of government? There is an even bigger question as to whether a single Council in NSW should be acting differently to other Councils.? For example, the proportion of our population over the age of 65 is 23% compared to 13.9% for NSW as a whole.? It is expected that the proportion of pensioners in the Nambucca local government area would similarly exceed the NSW average.? 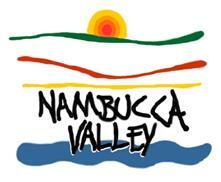 Should the Nambucca Shire Council be financially responsible for this additional financial burden? That Council write to the Minister for Local Government, the Hon. Barbara Perry, as well as the Opposition spokesperson, Mr Chris Hartcher, seeking a monetary increase in the pensioner rebate to be jointly funded by the State Government and councils on the existing 55% to 45% split. Council can unilaterally increase the value of the pensioner rebate under Section 582 of the Local Government Act.? In this scenario Council would have to provide all of the additional funding either by a special variation to increase its rate revenue or a reduction in services or both.? Council could propose this option in its community engagement strategy for integrated planning and reporting. A second option is for Council to lobby the State Government to provide a monetary increase in the pensioner rebate to be jointly funded by the State Government and Local Government on the existing 55% to 45% split. A third option is for Council to lobby the State Government to provide a monetary increase in the pensioner rebate at no cost to Council. Council obviously has a high degree of control over the first option but effectively no control over the 2nd and 3rd options. ?????? Options for Council in terms of requests to State Government eg, increasing State Government proportion of the rebate and indexing it to CPI and opportunities for lobbying the State Government and Opposition.? The State Government providing 55% of the funding of the rebate granted to eligible pensioners, with Council covering the remaining 45%. The State Government has not reviewed the pensioner rebate since its inception in 1989.? Rates rise each year but the pensioner rebate has remained the same.? As a consequence the rebate has lost a substantial amount of its real value and there has been an increasing financial burden on pensioners. The comparison below indicates that over the past ten years pensioners who are entitled to the full rebate are effectively paying an additional 12% of their rates from their own pocket. The comparison also indicates the quantum of the problem wherein the cost of maintaining the rebate in real terms means that expenditure on the rebate would need to increase by 12% to maintain parity with the situation in 2000/2001 let alone 1989. As the expenditure on the pensioner rebate was $837,548 in 2010/2011, this would need to increase by $100,505 to maintain parity with its real value in 2000/2001. Section 582 of the Local Government Act allows Council to grant a further rebate at its own discretion on a voluntary basis (with no subsidy from the State Government) to eligible pensioners.? If Council was interested in this option, it would need to identify how the $100,000 would be funded.? Funding can only be achieved by increasing revenue or reducing expenditure or both. In relation to increasing revenue via a special rate variation, this could be considered in the Integrated Planning and Reporting legislative requirements which have to be completed by March 2012.? Council is about to embark on a community engagement strategy which could consider a special rate variation to provide additional funding for pensioner rebates. Of the above list, Council has a statutory obligation in relation to companion animal/dog control so it is difficult to reduce service levels and remain legally compliant. Besides the option of Council funding an additional rebate under Section 582, it could make representations to the State Government to increase the monetary value of the rebate under the same terms that currently apply, ie that the State Government fund 55% of any increase and Council fund 45%. In the example quoted above, to maintain parity in real terms with 2000/2001 would mean this Council providing $45,000 to the State Government?s $55,000.? Whilst the State Government has provided no indication that it is considering an increase in the pensioner rebate, this option would have a greater chance of success than a third option of seeking the State Government to provide all funding for an increase in the pensioner rebate. There has been consultation with Council?s Rates Officer. Another issue is that the rapidly ageing population will see substantial increases in the number of pensioners.? For example, in 2021 the number of people aged 65 and over in the Nambucca local government area is expected to increase from the current 4,555 persons to 6,417 persons.? Whilst not all of these persons will be pensioners there is nothing to indicate any change in the pensioner ratio. The provision of additional pensioner rebates will provide pensioners with more disposable income, some of which is likely to be spent locally. Council may wish to consider the precedent that it would create should it wish to fund an additional pensioner rebate under Section 582 of the Local Government Act.? Once the funding is provided it will be difficult to remove, notwithstanding it is voluntary and that Council?s financial position may deteriorate.? Council will be effectively locking itself into a larger financial liability regardless of its financial circumstances. Depending upon the option selected there could be a significant and long term impact on Council?s budget. A change in regulations for the production of compost from mixed (red bin) waste is causing major issues for the Coffs Coast Waste Service with the potential for significant impacts on the cost of the service.? Currently the mixed waste is being used as landfill whilst the contractor investigates options to meet new disposal standards set down by the Department of Environment Climate Change and Water. The report is for information pending more detailed information on a way forward. 1??????? Council make representations and lobby the NSW Government and the Department of Climate Change and Water, in concert with Coffs Coast Waste Service partner Councils, the Waste Management Association of Australia, other NSW Councils and the Local Government and Shires Associations of NSW, to seek to remedy elements of the new regulatory regime that unreasonably constrain waste resource recovery and which impose significant costs on our communities. 2??????? Council support the Waste Management Association of Australia in its representations to the Director General of the NSW Department of Environment, Climate Change and Water, to collaboratively work to address and resolve barriers to enable the production and utilisation of organic wastes for the production of renewable energy. 3??????? A further report be presented to Council early in the new year, with more detailed information, and independent expert advice, that will recommend the way forward for mixed waste processing to satisfy the new requirements under the Protection of the Environment Operations (Waste) Regulation 2005, and Part 6, Clause 51 and 51A, of the Protection of the Environment Operations (Waste) Regulation 2005. At this stage there are no feasible options other than to lobby the State Government in relation to the regulations and to continue investigations as to the future processing of the mixed waste stream. On 29 November 2010, Council?s Waste Management Officer and myself met with our counterparts from Bellingen and Coffs Harbour Councils and also representatives from Handybin Waste Services and Biomass Solutions to discuss the impact of new waste regulations on the cost of waste processing and its future direction.? There were discussions with and without the contractor being present. The following report has been compiled by Mr Jeff Green, the Acting Director Land Use, Health & Development and Executive Manager, Strategy and Sustainability at Coffs Harbour City Council, to provide an overview of the issue.? It is significant and potentially costly for the ratepayers of the three Councils.? The recommendations have been drafted by the Acting Director and it is agreed that unless there is some regulatory change the Coffs Coast Waste Service will be effectively ?penalised? for having a best practice solid waste resource recovery plant. Coffs Harbour City Council, Bellingen Shire Council and Nambucca Shire Council operate in partnership to deliver joint waste management services and resource recovery operations under the banner Coffs Coast Waste Services (CCWS). The partnership is reinforced by a Tripartite Agreement between the three Councils, and a joint waste collection and recycling contract. CCWS provides a three-bin domestic waste collection service for organics including food waste, recyclables, and mixed waste, and processing of these streams at a Materials Recovery Facility (MRF) and an Alternate Waste Treatment (AWT) facility to produce beneficial products. Under the waste processing contract streamed organics that includes food waste, green waste and biosolids are shredded and processed via an agitated composting bay process, and subsequently screened and mixed as necessary to produce ?A? Grade compost that meets market and regulatory requirements.? Streamed Mixed waste undergoes a process involving primary manual and mechanical sorting, autoclaving, secondary mechanical and manual separation of output fractions to produce recyclables, a screened organic fraction for reuse, and residual waste that is destined for landfilling.? The sterilised organic fraction generally undergoes composting in the agitated bay system, followed by screening and mixing with other products as necessary to produce B Grade compost that met the then prevailing Biosolids Guidelines.? On 24 April 2008 the NSW Government introduced amendments to the Protection of the Environment Operations (Waste) Regulation 2005 which took effect on 28 April 2008.?? The amendments, required, inter alia, that wastes including any products produced from wastes, must not be used without the benefit of a relevant General or Specific Exemption pursuant to Part 6, Clause 51 and 51A, of the Protection of the Environment Operations (Waste) Regulation 2005. These changes have created turmoil in the waste processing and resource recovery industry across NSW.? Numerous Alternate Waste Technology (AWT) plants, and Councils throughout NSW have been affected, and contracts for new AWT facilities have been put on hold. Refer Attachments 1, 2, and 3. In particular the legislation was implemented without the benefit of a General Exemption with respect to AWT outputs from mixed waste. That Exemption was delayed for around two years. In January 2010, Coffs Harbour City Council, Nambucca Shire Council and Bellingen Shire Council submitted an Issues Paper to Hon. Frank Sartor, Minister for Climate Change, and the Environment. The Issues Paper highlighted the significant concerns of the councils and urged the Minister to take decisive action. In April 2010 the NSW Government released the ?The organic outputs derived from mixed waste general exemption? pursuant to the Protection of the Environment Operations (Waste) Regulation 2005 ? General Exemption under Part 6, Clause 51 and 51A. The long awaited General Exemption introduced much more stringent requirements with respect to the use of AWT organic outputs for land application in terms of: processor and consumer responsibilities, chemical and other material concentrations, types of agricultural use, application rates and buffers, and sampling and testing requirements. The effect of this legislation was to significantly change the goal posts in respect to the processing of mixed waste and utilisation of beneficial organics. Risks associated with the need to adapt the process to environmental or other laws which may be enacted over the term of the operating contract will be assumed by the WPC.? ?????? the decision of the Expert will be final and binding on both parties. With respect to the change of laws that has occurred the contractor argues that performance of the contract is being impeded, and is seeking relief.? The matter remains the subject of legal argument and negotiation. ???? Whilst councils and the industry generally support the NSW Government?s efforts to enhance controls regarding the use of waste materials on land or in thermal applications so as to protect the environment, the rationale for aspects of the new requirements are unfathomable, and lacks scientific basis. The effect of which is to unreasonably constrain the use of beneficial waste products. -??? testing and reporting requirements. ???? The manner in which the new regulatory requirements have been introduced by DECCW and the NSW government has resulted in significant costs to the Coffs Coast Councils and their communities to date, that could have been largely avoided. ???? The requirements in respect to DECCW?s ?Organic outputs derived from mixed waste General exemption? are excessively onerous and at this stage the DECCW has made no determination with regard to Biomass Solutions? application for a Specific Exemption that pertains to the particular circumstances of local CCWS operations. ???? It should be noted that at this stage workable General Exemptions are in place with regard to the Biomass?s Organics and Biosolids streams. The current impasse pertains to Biomass?s mixed waste processing stream, and similarly with other AWT operators across NSW. ???? Biomass advise that their current AWT mixed waste process cannot achieve the new more rigorous product quality requirements without significant feedstock controls, and plant modifications that would entail further capital investment and increased labour and operational costs. Since the release of the General Exemption, Biomass Solutions (Coffs Harbour) Pty Ltd has been conducting detailed process trials and investigations, end use marketing studies and financial analysis to derive options that will conform to the new regulatory regime. In the meantime organics derived from mixed waste processing that would otherwise be applied to land are being directed to landfill. ???? The plant continues to process the Organics and Biosolids streams to produce high quality compost for beneficial use, and these products are being successfully marketed. ???? Biomass Solutions has now developed processing solutions that would achieve the new standards, and has provided the Councils with the preliminary costs for various options.? However the processing solutions require endorsement of DECCW by way of a Specific Exemption. The latter has been lodged with DECCW but is still under consideration. ???? There is potential to beneficially use AWT organics as a fuel to produce Green Power, to supplement feedstock requirements at large and small scale power stations, such as the Broadwater Sugar Mill and Harwood Sugar Mill, or coal-fired power stations.? There are ready markets and heightened demand for AWT organics for this purpose. However DECCW has thus far prevented the use AWT organics for power generation, and has resisted industry and local government representations to unlock this market.? As recently as last month, formal representations were made in this vein by the Waste Management Association of NSW to the Director General of DECCW, Lisa Corbyn, copied to the President of the Local Government Association of NSW, Mayor Keith Rhoades. In short the NSW government?s new regulatory requirements have significantly changed the goal posts and thus introduced major new costs to NSW Councils and their communities.? Relevant media articles are attached. Over the coming months, options that are being distilled to satisfy the new regulatory requirements will be comprehensively reviewed, with the aid of independent external consultants and legal advisors. It is anticipated that a report will be presented to the Coffs Harbour, Bellingen and Nambucca Councils with recommendations as to the way forward. Coffs Harbour City Council has had extensive consultation, discussions and high level meetings concerning the regulatory changes and related issues, with DECCW, the Waste Management Association of NSW and AWT industry players.? There was a meeting at Coffs Harbour on 29 November 2010 involving the General Managers of the three Councils as well as their Waste Management Officers to discuss the problems. Coffs Coast Waste Services are designed to optimize recycling and resource recovery, beneficial reuse, and to minimize waste to landfill. The recovery of mixed waste organics to produce compost for land application has environmental benefits in terms of soil carbon levels, soil fertility, improved agricultural outputs, rehabilitation of sites, and avoided carbon emissions. As it stands, with the change in legal requirements and standards, mixed waste organics from the CCWS councils is currently being land filled and Council will need to prepare to receive its share next year. The community has demonstrated strong support for recycling and resource recovery as is evident by the high levels of recycling and low levels of contamination in the domestic green bin and yellow bin service.? Surveys have demonstrated high levels of satisfaction with Coffs Coast Waste services and the recycling and resource recovery systems. Councils are obliged to provide sustainable waste services on behalf of their communities.? It is important that the Bellingen, Nambucca and Coffs Harbour Councils continue to provide sustainable waste management services, recycling and resource recovery commensurate with community expectations. The change in laws has detrimentally affected numerous Councils and AWT operations across NSW.? It is therefore appropriate that the Councils continue to voice concerns to the NSW Government both directly and in concert with the Local Government Association of NSW, the Waste Management Association of NSW, the AWT industry and other Councils. The recovery of waste resources including organics reduces the quantities of waste that are directed to landfill.? Landfilling is an expensive activity, more so since the introduction of the NSW governments Section 88 waste levy payment requirements. Effective from July 2009 mid north coast and north coast councils are required to pay a waste levy to the NSW government for waste that is directed to landfill.? The rate for the 2010/2011 financial year is set at $20.40 per tonne.? Further, NSW statute provides that the Levy is to rise cumulatively at the rate of CPI + $10 each year until 2015/16. Waste processing and the marketing and utilization of waste products generate local employment. The legislative changes in relation to mixed waste are currently resulting in reusable materials wastefully going to landfill, and therefore causing higher waste disposal costs to the councils, and additional waste levy payments to the NSW Government. The impacts of the change in laws, and additional waste processing costs to satisfy the new laws needs to be more fully evaluated in terms of short and long term implications taking into account sustainability criteria, the remaining 17 year contract term with Biomass Solutions, the rising Section 88 waste levy payments and landfill costs, landfill space and waste transport costs, government policy and the legal framework now and going forward, community expectations, and projected long term waste processing costs and resource recovery rates.? To this effect a consultant?s brief is being prepared with a view to calling for quotations from reputable, duly qualified and experienced consultants to independently review the options being put forward by Biomass Solutions, to audit the contractors financial records and calculations and to provide recommendations to the Councils. It is expected that this investigation will be concluded late February and a report will be put to the Councils shortly thereafter. The risks are outlined in the report. The issues discussed in this report will have financial implications in terms of the waste processing costs that will be reflected in higher annual domestic waste charges and higher gate fees at the Council?s waste disposal facilities. At this stage the financial implications have not been fully determined, however provision will be made in the 2011/2012 fees and charges for higher waste processing costs.? Waste facility gate fees will also need to be increased by amounts to be determined. The report acknowledges the Minutes of the Saleyards Advisory Working Group meeting held on 29 November 2010. That Council endorse the Minutes of the Saleyards Advisory Working Group meeting held on 29 November 2010. There are no real options. Council requires the expertise of the active users of the saleyards to guide them in developing a plan for the future of the sale yards. The Saleyards Advisory Working Group meeting was held on 29 November 2010. The recommendation does not give rise to any environmental issues. There are no implications for working funds at this juncture. The Saleyards Advisory Working Group declares that its members comprise entities who have a vested interested in the continued operations of the Macksville Saleyards. Councillor R Hoban declared a non-pecuniary less significant conflict of interest in the continued operation of the Macksville Saleyards under the Local Government Act as Cr Hoban has family members who sell all through the Macksville Saleyards.? That the Committee note the adoption and endorsement of the recommendations of the Minutes of the Meeting held 4 May 2010 , by Council at its meeting on 6 May 2010. 1???? That Council consider the proposed Effluent Management Plan and other options for the Macksville Saleyards as part of the overall future Management Plan for the Saleyards. 2???? That Council?s Grants Officer explore grant opportunities to contribute to or meet the cost of installing the proposed Effluent Management System at the Macksville Saleyards. 1?????? That Council consider the proposed Traffic Management Plan for the Macksville Saleyards as part of the overall future Management Plan for the Saleyards. 2??????? That a complete costing of the project be compiled and reported to Council as part of the overall future Management Plan for the Saleyards. The next meeting will be held in March 2011 or earlier as required. There being no further business the Mayor then closed the meeting the time being 6.10 pm.? The General Manager?s delegations were last reviewed on 17 June 2010. Legislative change arising out of the new Environmental Planning and Assessment Act provisions require further amendment of the delegations?specifically to Delegation 8.3. (d)????? make appropriate changes to any Planning Proposal as a result a gateway determination made by the Department of Planning under Section 56 of the Act. (f)?????? Report to the Minister on draft LEP?s, under Section 59 of the Environmental Planning and Assessment Act, 1979, in accordance with any delegations from the Department of Planning which may exist at the time. The delegations of authority to the General Manager are at the discretion of Council.? The General Manager then has discretion to delegate such authorities to individual staff members. Section 377 of the Local Government Act provides that a Council may, by resolution, delegate to the General Manager or any other person or body (not including another employee of the Council) any function other than a specified list of items (a) to (u). The General Manager may then delegate those functions to other staff. The purpose of regularly reviewing delegations of authority is to minimise the risk of Council staff acting outside their delegations. There are no budgetary implications although it needs to be acknowledged that in the absence of appropriate delegations of authority, decision making is slower and there will be the potential for increased costs. The report acknowledges the Minutes of the Annual General Meeting of the Macksville Showground Committee of Management and the new Committee.? Copies of the Minutes of this meeting and the Financial Statement are attached. That Council endorse the Minutes of the Committee of Management for the Nambucca Senior Citizens Club?s Annual General Meeting held on 16 November 2010 and thank the outgoing Committee for their work in the past twelve months. The Annual General Meeting of the Nambucca Senior Citizens Club?s Committee of Management was held on Tuesday 16 November 2010. Council consider the rehabilitation of the internal roadway at the Showground in its 2011-2012 budget. Council has now received the draft report on the 2010 Resident Satisfaction Survey which is circularised (document no. 29958/2010). Satisfaction with Council?s overall performance had risen by 5.8% since the 2007 survey, with a mean rating (on a scale of 1-5) of 3.26.? This is a good result.? All towns surveyed recorded improved satisfaction with Council?s overall performance, except Scotts Head where there was a reduction in satisfaction of 4% compared to the 2007 survey result. That Jetty Research be advised that Council accepts the draft report ? 2010 Resident Satisfaction Survey subject to the provision of recommendations within the Executive Summary; the provision of a classification of the ?other comments? in Appendix 2; and the correction of typographical/spelling errors. Council has the option of seeking the collation of different mixes of information. The 2010 Nambucca Shire resident satisfaction survey was conducted as a random and representative telephone survey of 400 adults who had lived in the Shire for 12 months or more.? Councillors and permanent Council employees were precluded from participating.? Surveying was conducted by Jetty Research on weeknights from 11 October to 21 October 2010. The sample size for the survey provides a margin of error at +/- 4.9% at the 95 percent confidence level.? This means that if the same poll was conducted 20 times, results should reflect the views and behaviour of the overall survey population to within +/- 4.9 percent in 19 of those 20 surveys. The survey results are important for measuring the Council?s performance and also in compiling the 10 year Community Strategic Plan and Delivery Program required under the Integrated Planning and Reporting legislation.? The information is also used by Council?s Grants Officer in providing justification for particular grant applications. 1.? Resident satisfaction had risen by 5 or more percent in 15 of the 26 facilities and services measured.? It had fallen by 5 or more percent in only one category, that of bridges. 2.? In terms of importance, three facilities ? libraries, the Macksville swimming complex and sporting facilities were deemed of greater importance in 2010 than they had been in 2007.? Only environmental monitoring and protection registered a 5% decline in importance. 3.? Seven facilities and services lay in the ?higher importance/low satisfaction quadrant being sealed roads, estuary management, environmental monitoring, public toilets, footpaths and cycleways, youth activities and bridges. 4.? Satisfaction with Council?s overall performance had risen by 5.8% since the 2007 survey, with a mean rating (on a scale of 1-5) of 3.26.? This is a good result.? 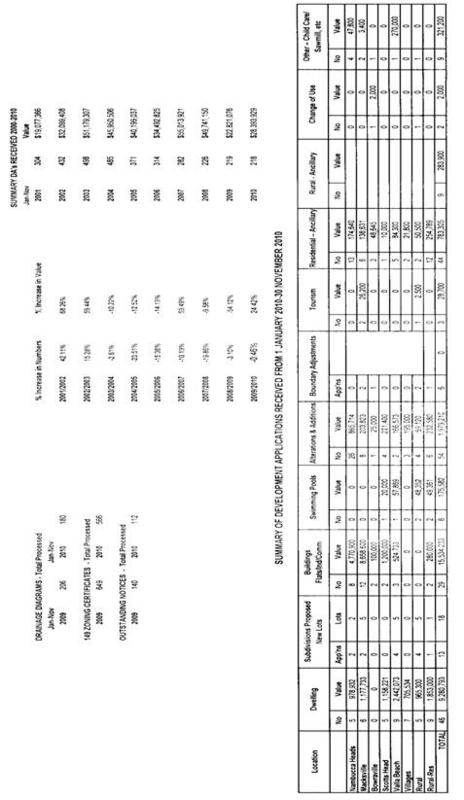 All towns surveyed recorded improved satisfaction with Council?s overall performance, except Scotts Head where there was a reduction in satisfaction of 4% compared to the 2007 survey result. 5.? For those who had personally visited Council within the past six months (being 44% of the overall sample) satisfaction with the service received rose from 2007 levels to an extremely high 4.24 mean (again on a 1-5 scale).? Given that Council actually reduced customer service staffing, this is a very good result. 6.? However for those who had written to or called Council within the past year satisfaction levels were down slightly. 7.? Use of the Council website had almost doubled over the past 3 years, from 12 to 22% of respondents.? Age appears no barrier, with 17% of those aged 60 plus having accessed the site.? This highlights the growing role of the Council website as a community communication tool. 8.? When asked how they would spend a hypothetical $5m general use grant, almost half (45%) nominated building and maintenance of roads, with 21% nominating improvements to bridges.? Specific infrastructure projects were nominated by 14%, while a similar proportion nominated youth programs or facilities. 9.? In relation to Councillor numbers, opinion was almost evenly split between the 43% seeking a reduction in numbers (from nine to seven) and 47% wanting numbers to remain as is.? This indicates there is no clear cut mood for change. 10.???? When asked to what extent they were anti or pro-development, the consensus ? as in 2007 ? was for a balanced approach between these two extremes. 11.???? Over 90% of respondents agreed with the notion that Council needs to spend more on road and bridge maintenance.? And 64% of those surveyed said they would be prepared to pay a small (50 cents to $1.50 per week) levy to be spent specifically on improved roads and bridges. Jetty Research is seeking any comments from Council prior to finalising the document.? Besides correcting spelling/typographical errors, James Parker from Jetty Research has offered to provide recommendations with the Executive Summary.? Another suggestion would be to have a classification of ?Appendix 2? other comments. There has been consultation with Jetty Research. The survey results do not have any environmental implications. The survey results do not have any social impacts. The survey results do not have any economic impacts. The cost of the community satisfaction Survey was $14,520 and came in under budget as $15,000 was allocated. Pursuant to Section 418 and Section 419 of the Act, Council is required to present the audited Financial Statements and Auditor?s Reports to the public. The Financial Statements for the year ended 30 June 2010, have been completed and the audit reports required by the provisions of Section 417 of the Local Government Act 1993 have been received and copies are attached. As a result of end of year processes consolidated Current Liquid Equity has decreased by $37,994. General activities? net CLE balance is $1,770,570, Water Supplies $1,678,937 and Sewerage Services $727,840. The attached Audit Report under Section 417(2) and 417(3) provides an independent and comprehensive explanation of Council?s financial position and Mr Geoffrey Allen of Forsyths is expected to attend the public meeting to report on the Statements.? The financial statements indicate Council?s financial position remaining sound.? The Income Statement, Balance Sheet, Statement of Changes in Equity and Statement of Cash Flows consolidate the information contained in the notes to the accounts and provide the big picture of Council?s operations and financial position and are attached for Council?s information.? Copies of the Consolidated Financial Statements are available on council?s website and hard copies can be provided upon request.? Financial indicators regarding asset management are also discussed as part of this report. Also attached is a copy of Council?s investments detailing external and internal restrictions for which the investments are held as at 30 June 2010. That the Financial Statements and the Auditor?s Reports for the year ended the 30 June 2010 be received. Presentation of the audited Financial Statements and Auditor?s Reports is a requirement under the Local Government Act 1993. Council at its meeting of the 4 November 2010, as part of the 30 June 2010 budget review, was provided with details of the current liquid equity position, operating results for 2009/10, and list of revotes for General Activities, Water Supplies and Sewerage Services. As a result of the audit process consolidated current liquid equity decreased by $37,994. General activities decreased by $103,396 with Water Supplies and Sewerage Services increasing by $48,223 and $17,179 respectively. These adjustments are a result of either/or transfers to/from restricted assets, movements between the current and non current classification within debtors and principal repayments of internal loans. The estimated positions in the June budget review were General Activities $3,619,405, Water Supplies $1,630,714 and Sewerage Services $735,661. The final current liquid equity positions as at the 30 June 2010 (excluding revotes) are, General Activities $3,516,009, Water Supplies $1,678,937 and Sewerage Services $752,840 still reflecting a sound working funds position for each fund. The Income Statement shows a consolidated operating surplus for the year of $4,517,000. Council?s operating result before capital grants and contributions is a deficit of $20,000. Variation to the previous year?s result predominantly relate to the fair value adjustment of the interest free loan secured through the NSW Local Infrastructure Fund and a turn around in the investment environment and subsequent increase in investment revenue. Slightly offsetting this revenue was an increase in borrowing costs reflecting Council?s special rate variation renewal strategy in general fund and funding for the water storage project in water. There was also an increase in operational materials and contracts which would be expected due to the flood damage works required for the year. For Council?s category 1 business activities Water Supplies and Sewerage Service, the continuing operations result for the year after imputation of tax equivalents is a surplus of $560,000 and $3,497,000 respectively. The operating results distinguish from the 30 June Budget Review figures as they do not include capital expenditure and include non cash items of depreciation, fair value adjustments and increase in employees leave entitlement liability. In addition, the results do not recognise the transfers to and from restricted assets, or items of expenditure revoted to 2010/2011. Council?s Total Equity or Net Assets increased to $295,399,000 from the $275,338,000 held as at 30 June 2009. The Balance Sheet lists the items that make up this equity and the Statement of Changes in Equity shows the increase from 08/09 to 09/10. The Debt Service Ratio highlights the amount of annual revenue necessary to service annual debt obligations (loan repayments). The consolidated ratio as shown in the attached Note 13 of the Financial Statements is: 6.19%. An industry benchmark set by Local Government Managers Australia (LGMA) is between 10 - 15%. The ratios reflect a disparity of positions between the funds and the different borrowing situations of each. It has previously been advised that Council?s intended borrowing program in relation to the Water Storage and Sewerage Augmentation projects would impact significantly on the ratios. The above ratios for Water and Sewerage activities are reflecting this scenario although the securing of the 10 year interest free loan under the State Government's Local Infrastructure Fund for the upgrade of the Nambucca Heads Sewerage Treatment Plant has reduced the Sewerage ratio due to the to the fair value adjustment. The asset renewal expenditure indicator reflects the extent to which council is maintaining the condition of its assets. The measure used is capital expenditure on existing assets over annual depreciation and is the capital renewal capacity of council i.e. the amount of funds spent on renewing assets (as opposed to maintaining them). The consolidated ratio as shown in Note 13 of the Financial Statements is: 76.07%. A 1:1 ratio is the ideal benchmark. It is encouraging to see general fund almost aligned with the 1:1 benchmark. It appears figures are beginning to reflect Council?s commitment to it?s rate variation strategy to renew its road and bridge network which commenced five years ago. As mentioned in past reports, the comparatively low ratios for both water and sewerage reflect a different capitalisation methodology of renewal works to that of general. Council?s Manager Water & Sewerage has indicated that an asset management system will give scope to note the type, value and date of each major work done on a particular asset and this will provide a clear indication of whether it was capital works or maintenance. The ratio needs to be taken into account with Special Schedule 7 which is attached. Special Schedule 7 summarises the condition of Council?s assets. Based on the substantial increase in the overall cost to bring up to a satisfactory condition/standard a continued injection of funds appears to be needed particularly with sealed roads and buildings which will require committed planning and focus. Council?s Manager Assets has advised that the overall condition for sealed roads deteriorated from a 2 (Superficial Deterioration) to a 3 (Deterioration Evident) which means a significant number of additional roads would be candidates for upgrade. This assessment has come about from the change from in-house to a comprehensive condition assessment by ARRB. The data provided by ARRB has been used in subsequent cost modeling. The cost is calculated based on the current value of the road. As the value has increased slightly through the revaluation process this will also contribute to the increased cost to bring roads up to standard. Similar issues have contributed to the increase in estimated cost to bring buildings up to a satisfactory standard. It is expected that the above and other sustainability issues will be brought to the table during Council?s asset management and integrated planning and reporting processes. This indicator is not a requirement for disclosure in the Financial Statements but is considered important for asset management to illustrate how well Council is planning and utilising its resources. Re-votes at year end are the commitments of expenditure that were not carried out during the budget year. The ratio is intended to highlight the effectiveness of planning and the co-ordination of resources in terms of meeting project objectives in Council?s management plan. The measure used to indicate this level is the percentage of expenditure re-votes to the total ordinary and capital expenditure of Council for the year. It should be noted that to prevent a distortion of the ratio expenditure relating to the Water Storage and Nambucca Augmentation projects have been excluded. It is pleasing to see the ratio at its lowest since the ratio has been calculated and down almost 3 percentage points from 2008/09. It should be noted however that almost $1m in flood damage was unspent at the 30 June 2010 and when spent will therefore be a factor against meeting planned works in 2010/11. As mentioned in past reports, having the capacity to spend on capital works is important for the long term sustainability of Council. It allows Council to plan for the future and to ensure assets are maintained at an acceptable level. The capacity to spend on capital works not only refers to the ability to allocate funds but also the ability to plan and allocate resources to ensure that works are completed satisfactorily and timely. Considering the magnitude and diversity of Council?s expenditure, revotes cannot be avoided as factors such as weather will always impact on annual commitments. Council should however continue to aim to reduce this ratio. A ratio of 5% or below is considered adequate by the industry. Council?s financial position and performance are presented with this report and by Council?s Auditors and were also discussed as part of the 30 June Budget Review presented to Council?s Meeting 4 November 2010. Council?s financial position and performance are presented with this report and by Council?s Auditors and were also discussed as part of the 30 June Budget Review presented to Council?s Meeting 4 November???????????? 2010. Further additional information received by letter dated 30 July 2010. DA readvertised and renotified until 13/9/10. Request further information from applicant on 22 September. Response received indicating information should be with Council by 29/10/10. Further information received from Applicant. Matter now referred to DoP and Rural Fire Services 8/11/10 Still awaiting responses. Concerns will be dealt with in the assessment of the applications. Meeting to be held with applicant and consultants to discuss a number of matters. Meeting held on 16/11/10 and outstanding issues resolved. Modification applications being processed. Additional information requested 15/10/10 ? received 16/11/10. Discussed at a Development Traffic Committee meeting. Appropriate conditions of consent to be applied if the application is approved. DA to be deterred by JRPP, Briefing report for a future GPC meeting. Environment and Planning Department Development Application statistics for the financial year 2009-2010 compared with 2008-2009 and Certificate Applications received and determined are provided in the body of the report. 1????????? That Council note development application statistics and processing times for July 2010-June 2011 compared with July 2009-June 2010. 2????????? That Council note Occupational Certificate released for the years 2004 to 2010. 3????????? That Council note the statistical information for Applications and Certificates received by Council for 2004-2010. 4????????? That Council note the statistical breakdown of development applications thus far for the current year beginning 1 January 2010. The figures show a 16.67% increase in the number of DA?s received to November 2010 with construction costs increasing by 55.70% compared to the same period in 2009/2010. The total number of DA?s/CD?s approved for the month of November was 22 plus 1 modifications. The following is the Contract Regulatory Officer?s Report for November 2010. That the report from the Contract Regulatory Officer for November 2010 be received and noted by Council. The purpose of this report is to advise Council that a planning proposal has been received for the rezoning of rural land to residential land to occur at Lot 11 and 12 DP 1017408 Lot 2 DP514920 Pacific Highway Lower Nambucca. Councils is required to determine whether or not the planning proposal should proceed. That pursuant with section 56 of the EPA Act the Planning Proposal be forwarded to the Minister for Planning for Consideration through a Gateway Determination once the required fees have been paid and the additional information presented and acceptable to Council. That Council not support the proposed LEP amendment and the applicant be advised accordingly. On the 17th November 2010 Council received a Planning Proposal prepared by Geoff Smyth Consulting for land at Lots 11 and 12 DP 1017408 and Lot 2 DP514920 Pacific Highway Nambucca see location map attached. The purpose of the proposal is to amend the land zoning RU1 Primary Production to R1 General Residential. The land has previously been pursued as potential residential land through Nambucca LEP 1995 amendment no. 47, during the preparation of the Mid North Coast Regional Strategy and under Draft NLEP 2009.? This resolution is the basis for the Planning Proposal presently before Council. ?????? A statement which addresses the applicability of the Regionally Significant Farmland in relation to the subject land and relevant 117 Directions (specifically Implementation of Regional Strategies). Each of these maps should be prepared in accordance with the Standard Instrument Order format, required by the Department of Planning for Planning Proposals. Section 54 (3) of the Environmental Planning and Assessment 1979 indicates that Council may pursue an LEP amendment if requested to do so by a landholder and require investigations and costs associated with the amendment to be provided or met by the landholder. At any stage during consideration of this matter, should the planning proposal require amendments or additional information, the applicant be requested to provide this information at their cost. The proposal will contribute to the land stock presently available within shire and provide opportunities for diversified housing type and availability. Because of this the planning proposal should have low priority in the strategic planning program and the applicant will be required to address all matters raised through this process in order to minimise Council resources applied to the project. The applicant is required to pay for all studies and investigations relating to the planning proposal along with the initial $1500 rezoning application fee. The purpose of this Report is to provide Council with the results of the public exhibition of the Draft Local Adaptation Pathways Project Report. 1.?? Council endorse the Climate Change Risk Assessment and Adaptation Strategy. 2.?? Council?s Strategic Planner Prepare a Climate Change Adaptation Policy for future adoption by Council to ensure that actions contained in the Climate Change Adaptation Strategy are given consideration in future decision making, policy implementation, strategy development by Council and Council staff. 3.?? That the final Climate Change Risk Report and Adaptation Strategy be made publicly available through Council?s Libraries and Council?s Website in order to raise awareness in relation to risks associated with Climate Change and assist interested individuals and community groups to adapt to potential future change and build community resilience. 4.?? That Council staff make appropriate arrangements to ensure that the requirements of the funding agreement with the Department of Climate Change and Energy Efficiency have been satisfied. A copy of the Draft Reports have previously been circularised document, only minor changes have been made to satisfy the requirements of the Department of Climate Change and Energy Efficiency. In February 2009 the Australian Government ? Department of Climate Change announced Round 2 of the Local Adaptations Pathway was open for applications. The Local Adaptation Pathways Program provides assistance to local governments to carry out a risk management process to identify likely impacts of climate change on council operations and to initiate the development of an adaptation plan (which is separate from mitigation measures, such as reducing greenhouse gas emissions). ?????????????? established regional organisation bodies. Council officers from Nambucca, Bellingen and Kempsey Shire Council, prepared and submitted a joint application which successfully received $140 000 to complete a risk and adaptation reports for the region. Climate Risk Pty Ltd in association with Climsystems and SMEC were engaged in October 2009 to prepare the project. The project has resulted in the preparation of a draft Risk Assessment for each of the Bellingen, Kempsey and Nambucca Local Government Areas as well as a Regional Adaptation Report which provides a detailed Adaptation Plan for each Local Government Area in the Appendix. Note: This climate change project follows the AS/NZS 4360 standard (as directed by the Australian Government Department of Climate Change for the funding requirements of the Local Adaptation Pathway Program). The objective of the risk assessment part of the project was to undertake a scoping risk assessment to identify potential climate change risks for the shire. The assessment explores potential risks specific to each Council as well as at a Regional Level. The Risk assessment is separated into two (2) parts. Part A presents the methodology, introduces climate change, climate variability for the region, presents climate change scenarios for the 2030, 2050, and 2070 and outlines types of Climate change hazards. Part B explores anticipated impacts that projected climate change impacts may have on Council operations; the community; the local economy and the natural environment. An estimate of Sea Level Rise of 63.95cm by 2100 (excluding potential ice sheet melt), however Council needs to consider other predicted ranges as well particularly DECCW 0.4 -0.9. Climate induced increases in maintenance costs in addition to an increased Carbon cost may equate to Business as usual road maintenance costs increasing by $620, 000 by 2050. Carbon Pricing may result in potential impact on Council expenses from 2-3% in the short term and increase over time. An ageing population may result in the percentage of rateable properties receiving concessions increase by approx 17%. Over the period 2010 - 2050 the cumulative impact on gross regional product (Nambucca, Bellingen, Kempsey) to the 3 primary hazards is approx.? 3.7 billion dollars; this is not considered a catastrophic risk but gives good reason for investment into adaptive measures. The effect of a carbon price will decrease gross regional product, wages and land prices. The strategic opportunities for the region especially in agriculture and tourism under a low carbon economy will tend to boost the local economy, tending to increase each of the three economic indicators. The net effect is the low carbon economy opportunities will tend to partially off-set the effect of physical and carbon price impacts (assuming no adaptation is attempted). The final risk report was previously circularised. The Adaptation Strategy provides a comprehensive set of actions to assist in developing climate change resilience and adaptive capacity within Nambucca, Bellingen and Kempsey Councils. The objective of this part of the project was to increase the resilience to climate change of the evolving society, environment and economy in Nambucca, Bellingen and Kempsey, and to develop the adaptive capacity to cope with effects that cannot be accurately predicted. Based on the results of the risk assessments and the workshops held in relation to the project, the consultants developed options for risk reduction, resilience building and adaptive capacity (Regional Risk and Adaption tables presented in section 6.4 of the Adaptation report). Each council circulated these Regional Risk and Adaptation Tables to key staff for comment. Based on comments received and discussions with project leaders from each Council, Council staff developed Adaptation Plans for their LGA. The Adaptation Plans were developed to identify adaptation actions, the Council plan/policy/strategy or process applicable to the specific actions, gaps required to implement the actions, the current status of the action and responsibilities in relation to the action. Developing the adaptation plan in this way allows each Council to implement Climate Changes Adaptation Actions into existing or proposed Council frameworks or governance, rather than having to complete stand alone climate change management plans or similar reports. It is noted that the report has been prepared as a resource for the community as well as Council. In many cases Council does not have the resources, funding or authority to be able to pursue some of the identified options. For these reasons a number of the identified actions may be the responsibility of community groups, utility providers, other government authorities or even individuals. By making the project available to the community or other authorities these parties can then consider the risks and use adaptation options identified in the strategies to improve their own resilience, and in turn improving the resilience of the community. During the preparation of the risk report and adaptation plan a staff and community workshop was held in each shire for both the Risk and Adaptation Strategies (a total of 12 Workshops).? Staff workshops were comprised of senior staff and Councilors, Community Workshops comprised Councilors and representatives of community groups. The exhibition of the reports was coordinated with each Council to be through the Nov-Dec period, for Nambucca the exhibition was undertaken from 11 November 2010 to 10 December 2010. A public information session was held in Nambucca on 24 November 2010 and Kempsey 25 November 2010. Bellingen Shire Council chose not to provide an information session given previous consideration by Council. At the time of writing this report and as a result of this final round of community involvement Council received no submissions and no attendees at the public information session. Similar to this Kempsey received no submissions and no attendees at the public information session and Bellingen received no submissions. c.?????? The community lacked interest in the subject matter. Although the final exhibition was not a requirement of the grant funding it is disappointing to receive so few comments. To ensure that the community is fully aware when projects of this nature are on exhibition in the future, alternative mechanisms of community engagement will be included in future budgets where community feedback is sought. The Department of Climate Change and Energy Efficiency selected Nambucca LGA as one of 3 Councils involved in the LAPP program throughout Australia to prepare a case study. Nambucca has was selected due to the innovation in Councils approach to climate change adaptation as shown in the LAPP report and the lessons that can be learned from this approach. As part of the case study DCCEE representatives held interviews with the General Manager; Mayor; Director Environment and Planning; the Manager of Water and Sewer and Councils Strategic Planner. The representatives were also taken to key sites in the shire effected by recent storm events including Scotts Head Beach; Deep Ck Bridge; Landslips in Nambucca; the proposed off river storage dam and Bellingen Road landslips. It was apparent from the questions asked during the interviews that the federal government is assessing the direction of future rounds of LAPP funding, and how future funding can be of most benefit to local government. Our consensus response to this was that the future rounds should be directed to on ground works and/or improvements. Having now completed our adaption plan should these future rounds of funding become available Council would be in good standing to address specific actions endorsed by Council in the strategy. ?????? Many of the actions and options presented in the Adaptation Strategy are implemented in some manner already. This report can give direction to these actions and a permanent place in Council framework. ?????? The proposed actions may provide Council with alternative options to address certain specific issues as they arise. ?????? This project will give support to applications for grant funding or other similar opportunities which may arise. By identifying gaps in our resources, funding or other aspects of Council processes Council staff can target funding and grants required to fill the gaps. ?????? The modelling undertaken as part this project will also assist consultants undertaking specialist studies or projects in the shire. ?????? The reports will provide the Council, the community and other authorities the information and potential tools required to improve their resilience climate change. The adaptation plan provides guidance to Council on where certain actions fit within our policy framework and who should be responsible for their implementation it also identifies any gaps which need to be filled to implement actions. To ensure that the adaptation strategy and actions are embedded into Council decision making it is recommended a climate change policy be prepared. The Climate Change Risk Assessment and Adaptation Strategy will assist in prioritising and directing resources to Council activities. It also complements Council?s work on climate change mitigation measures, such as Our Living Coast Urban Sustainability Program with Coffs Harbour and Bellingen Councils, the Nambucca Coastal Zone Management Plan, Flood Studies, and programs that relate to Cities for Climate Protection. The project should assist in acquiring grant funding for related projects in the future. The project identifies risks to local communities, public infrastructure and local government operations whilst planning for appropriate adaptive responses. Modelling undertaken as part of the project has made predictions in regards to the economic impacts climate change may have on the region. No matching funding is required from Council, only in-kind contributions. The aim of the project is to minimise climate change related risk to Council and its operations as well as the community. Council has limited funds available within the project budget (for all 3 councils) through the LAPP funding to cover any variances that may occur prior to finalising the contract. Any additional variation would be likely to be at cost of Council. Continuing with the ongoing practice of applying for external funds to match identified Environmental Levy allocations, an Expression of Interest was submitted to the Department of Environment, Climate Change and Water under the 2011/2012 Estuary Management Program for the implementation of the high priority actions from the Nambucca River Master Plan and Nambucca River Estuary management Plan. The specific projects include the revegetation and river bank stabilisation within the Bellwood highway precinct and Stuart Island precinct, formalisation of part and use of, permeable road surfaces and Interpretive Signage on Stuart Island. The Ministerially approved and Council endorsed 2011/2012 Environmental Levy budget allocation for the implementation of the Nambucca River Master Plan is $50,000. An equivalent $50,000 in external funding has been sought. Access to an additional $50,000 in matching external funding will provide a significant boost to the Environmental Levy and the identified projects. The main risk is the possibility the application may be unsuccessful. The works would then be reduced to equal the funds allocated. Council has allocated $50,000 in the 2011/2012 Environmental Levy which is being used as Council's matching contribution. Any further works after the 2011/2012 budget would be subject to Council consideration. AUTHOR/ENQUIRIES:???? Richard Spain, Manager Water and Sewerage ???????? The minutes of the Nambucca District Water Supply Steering Committee meeting held on 1 December 2009 are attached for Council information and adoption. 1??????? That Council adopt the minutes of the Steering Committee Meetings held on 1 December 2010. 2??????? That a Project Implementation Management Plan shall be developed to include provision for hollow bearing trees that are removed as part of the pre-clearing survey to be replaced by nesting boxes of similar dimensions provided in suitable vegetation, within the catchment above the dam top water level. 4??????? That Council accept an upper limit fee of $34,600 excluding GST from GHD to prepare an Operational Adaptive Management Strategy, including initial baseline monitoring and consultation with relevant statutory agencies. The Nambucca District Water Supply Steering Committee meets on a monthly basis to discuss the Off River Storage Project in terms of progress, risks, budget and consultant engagements. The members of the Committee met on 1 December 2010 and discussed a number of matters as per the attached minutes. The resolutions of the Committee detailed in Items 5.3 and 8.3 of the minutes were reported to the Council meeting on 2 December 2010 as a Mayoral minute, and formal resolutions of Council regarding these matters were made at that meeting. There was discussion of the Adaptive Management Strategy (AMS) as noted in items 5.5 and 6.2 including a fee proposal from GHD to complete baseline monitoring.? It was noted that the development of suitable strategy monitoring requirements would necessitate negotiation with government agencies and confirmation was sought from GHD as to whether they had allowed for this in their fee offer. An updated fee offer has now been obtained from GHD for the amount of $34,600 excluding GST.? This allows for the preparation of an operational adaptive management document which will define the agreed framework for what is required, initial baseline testing and 3 meetings with agencies.? This is considered to be an encouraging starting point for determining Council?s ongoing AMS requirements and is readily accommodated in the current pre construction budget. The environment impacts of the project have been detailed in the Environmental Impact Statement that has been accepted by Council. The project will have a significant economic impact on the community as increases in both the typical residential bill and developer charges will be required to service Council?s financial commitment to the project. This is a major project for the Shire and there are significant risks associated with it particularly with regard to the availability of Federal and State Government subsidies.? An updated project risk register is kept by the Project Managers and the risks are discussed during the meetings. Council has committed funding to complete the preconstruction phase of the off river storage project in the 2010/11 budget. Future budgets will be dependent on the availability of Federal and State Government funding. The Office of Water has provided written confirmation that this project is eligible for subsidy as part of the existing Country Towns Water Supply and Sewerage program. A subsidy in the order of 30% has been suggested however the final amount will only be determined and confirmed once a tender for the construction has been let. The Federal Government has also promised a grant of $10 million and Council is seeking formal confirmation of this offer and when and how it will be made available. Council at its meeting on 7 October 2010 requested a report on the extent of the landslip adjacent to Ocean and Matthew Streets Scotts Head. The area in question is shown on the attached plan.? The slippage is resulting in the footpath separating from the kerb and causing heaving of a drainage structure. The majority of the slip is on Council land. That Council commit $40,000 to the restoration of the landslip subject to a matching contribution from the Scotts Head Trust. 1??????? Proceed with the restoration. Further slippage would deposit material on to the Crown Reserve and ultimately on to the beach. Disruption to vehicle and pedestrian access could result. Further slippage will jeopardise the integrity of the footpath and roadway. Funds identified in S94 plan and budget. At its meeting 2 December 2010 Council resolved to defer consideration of the Minutes of the Local Development (Traffic) Committee held 2 November 2010 until it received clarification regarding the authority of the Local Development (Traffic) Committee. 1??????? That Council note Local Development Committees under SEPP 11 ? Traffic Generating Developments have been repealed.? The planning provisions previously in SEPP 11 have been updated and carried over into the Infrastructure SEPP.? Clause 104 of the Infrastructure SEPP outlines the planning requirements for traffic generating development listed in Schedule 3 of the SEPP.? As previously with SEPP 11, if development is proposed that meets the traffic generating criteria in Schedule 3, the RTA must be consulted. For details on consultation requirements and statutory timeframes refer to the SEPP (Clause 104). 2??????? That based on the above information and as Council was not officially notified of the RTA structure change for Local Traffic Committees, the report submitted by Department of Environment and Planning including the minutes of the Local Development (Traffic) Committee held 2 November 2010 attached to discuss DA 2010/234 be noted. 1??????? Council adopt the recommendations. 2??????? Council recommend that all major developments receive a referral to the NSW Police and Department of Transport. A Local Development (Traffic) Committee meeting was held on 2 November 2010 to discuss traffic issues associated with DA 2010/234 Primary School Dudley Street Macksville.? The minutes are attached for Council?s information. ?The Local Development Committees (LDC) has been in operation since 9 August 1985 under SEPP No 11. However, since the introduction of SEPP (Infrastructure 2007), now known as I SEPP, the referral process has changed. Under I SEPP a consent authority is required to consult with the RTA on land use development matters on classified roads (Clause 100) and certain traffic generating developments with access on any road (Clause 104 Schedule 3 column 2) or any road that connects within 90m to a classified road. These referral procedures are contained in I SEPP. While the old LDC's / RDC are redundant and the I SEPP has been adopted in the Northern Rivers there has not been any official notification advising of this. RTA Land Use Development unit in the Grafton Office now comes under the Planning and Analysis unit (Tony Donohoe Manager ) It is my understanding that our system in the Northern Region has abandoned the LDC/RDC and is processing DA's in accordance with I SEPP. Hope this sheds some light on the situation ? In short the role of The Local Development Committee was to advise Councils on developments in terms of road safety and traffic generation. Council?????????????????????????? Council representative acts as the Chairperson and is responsible for the operation and administration of the Local Development Committee. RTA??????????????????????????????? RTA representative is involved in the consultation and gives advice on traffic generation, traffic impacts, traffic management and road access. NSW Police??????????????????? NSW Police representative provides consultation and advice on enforcement and road safety. Department of Transport ? This representative is a casual member only. Since the introduction of SEPP (Infrastructure 2007) and the adoption of I SEPP in the Roads and Traffic Authority Northern Rivers Region, the consent authority is required to consult with the Roads and Traffic Authority seeking their advice thereby making the Local Development Committee redundant.? However there has not been any official notification advising Council of this. There are no significant environmental issues. Eliminating the NSW Police from the approval process could lead to Council approval of ?no go areas? or potentially dangerous traffic related issues. There is no risk to Council in making a referral to the RTA. There are no budget impacts to Council. An on-site meeting was held starting at 12.30 pm, at Dudley Street, inspecting the site and the east and west ends of the street. The Committee looked at the location of the proposed development and discussed issues relating to the upgrade of the road and also stormwater drainage issues related to road construction as well as looking at the intersection of East/Dudley Streets, and Partridge/East Streets. Note:? This matter will not be dealt with by Council ? it is a JRPP matter. Council is providing the necessary notification and consultation processes and is preparing a report for the JRPP?s consideration. 1:15 met back at Council?s Administration Centre for further discussions. Report states 82% of students will travel by bus. Bus Company indicates current usage is 50% - requires clarification by the applicant. Traffic analysis is to be adjusted accordingly. Existing traffic on Dudley Street ? report indicates students are all driven to and from the SDA school by family members. It is understood that at least one and possibly two buses service the SDA School. Traffic analysis needs to identify existing load limit on East Street of 5 tonnes as this will impact on traffic movements of school buses, including construction traffic. Validation is required of assumptions regarding traffic movements out of Dudley Street turning right instead of left. The majority of development in Macksville is in the southern area and this would indicate a left turn movement. A summary of all traffic numbers and percentages need to be reconsidered and validated. Traffic make-up car/buses will have an impact on intersections Boundary Street/Pacific Highway, Partridge Street/Pacific Highway, Partridge/East Streets, East/Dudley Streets. Concept layouts for intersection upgrades including the need for any swept paths for buses are to be provided prior to further assessment of the application. Report indicates no proposed works in East Street. Concern over levels of road pavement in East Street being suitable for use by buses accessing Dudley Street. Redesign of horizontal and vertical alignment of East/Dudley Streets intersection needs consideration to facilitate bus access through the existing open drain across Dudley Street. This is likely to require major road upgrading with provision of splay corners and relocation of existing services and the reconstruction of sections of East Street. Concept layout for proposed improvement to Dudley Street should be provided and include: table drain and footpath layouts; consideration of shared footway; and, the impact on the adjoining Public Reserve. To make traffic movements functional, ?No Stopping? signs may be required along the northern side of Dudley Street, opposite bus turning area. This requirement could be a condition of any consent granted. A detailed sign schedule and layout to Australian Standards should be submitted to Council with the Construction Certificate Application. The Committee has concerns that buses are unable to adequately access the turning bay. A concept plan should be provided that demonstrates buses can practically access the bus lane and the parking/stopping spaces. A cul-de-sac should be considered at the end of Dudley Street. The Committee has concerns that the bus bay does not allow for buses to enter and depart from designated parking bays and maintain an efficient flow of traffic. The applicant needs to demonstrate that buses can pass one another and move in and out of the bus zone in all directions. There is a need to ensure the constant bus flow can be achieved, and that buses can access and depart the parking bay without disruption to traffic flow. The application should be referred back to the Local Development (Traffic) Committee following receipt of additional information. As the Development Committee (Traffic) has concerns relating to the access arrangements for buses and the expected number of vehicular movements onto the local road network and the extent of road upgrading required at the various intersections referred to above, it is unable to provide a full and proper assessment until the issues have been addressed. It is therefore recommended the applicant address these matters prior to any further assessment of the application. 1????????? Number of students travelling by bus which is inconsistent with the information supplied by the bus company. 2????????? Report indicates only parents drop off students at the SDA School, however at least one school bus taken students to the school each day. 3????????? A revised traffic analysis of East Street, including intersections with Partridge and Dudley Streets and Boundary/Pacific Highway, Partridge Street/Pacific Highway, is required. 4????????? Validation of traffic numbers and movements. 5????????? Concept layouts for intersection upgrades including swept paths for buses. 6????????? East Street road works required for bus access and use. 7????????? Bus turning and movement without disruption to flow of traffic. Applicant needs to demonstrate buses can park in the bays shown in one continuous movement, can pass buses already parked in one continuous movement, from Dudley Street and sufficient room is available for buses to pull out and around a bus parked in front of it. Dudley Street reconstruction should address flood issues and provide flood-free access to the school. Council?s Manager Traffic Services will address this issue separately. There being no further business the Chairperson then closed the meeting the time being 2.28 pm.